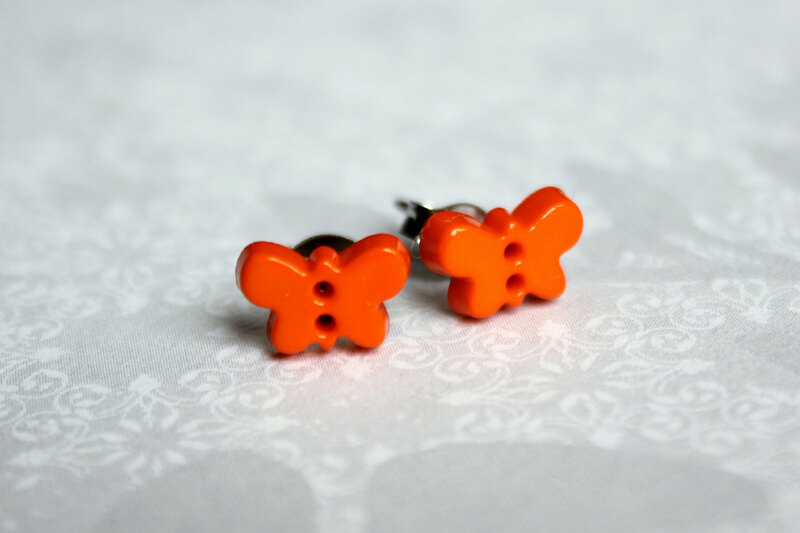 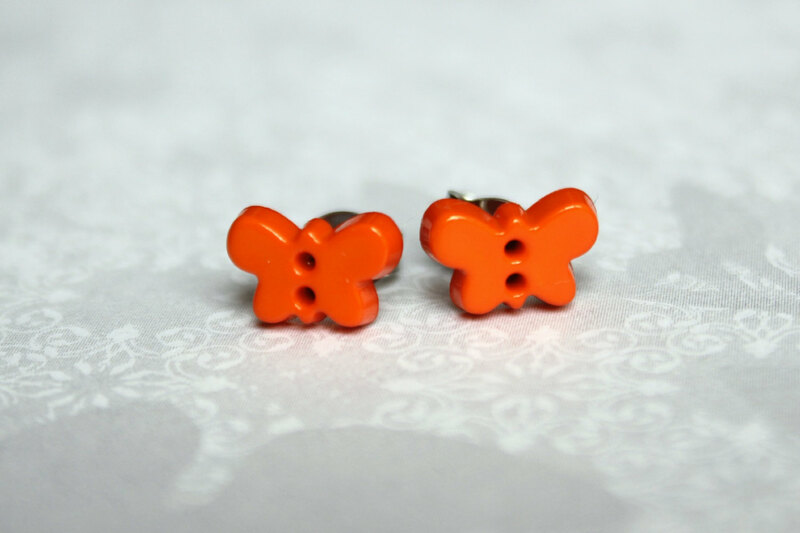 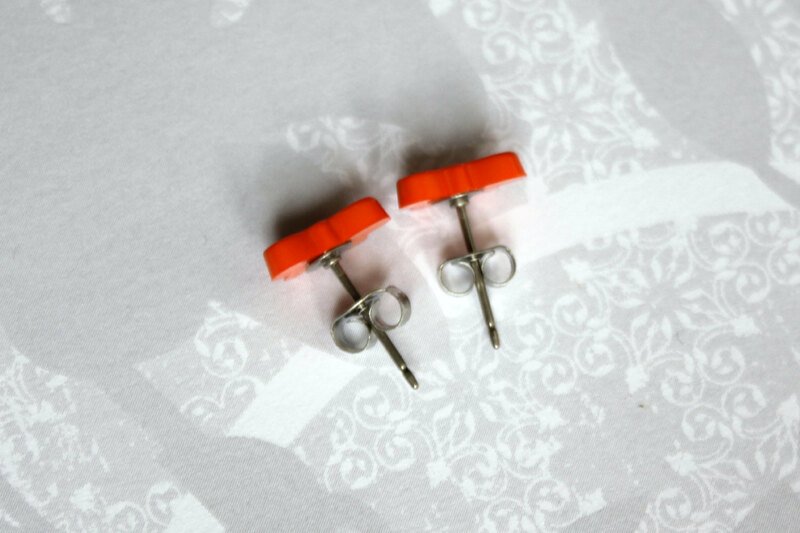 Small Orange Butterfly Button Earrings on Hypoallergenic Titanium Posts. 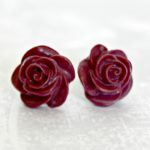 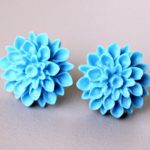 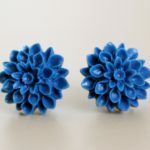 Made from plastic buttons that have been attached to titanium earring posts with either Surgical Stainless Steel or Titanium Earring backs, select when ordering. 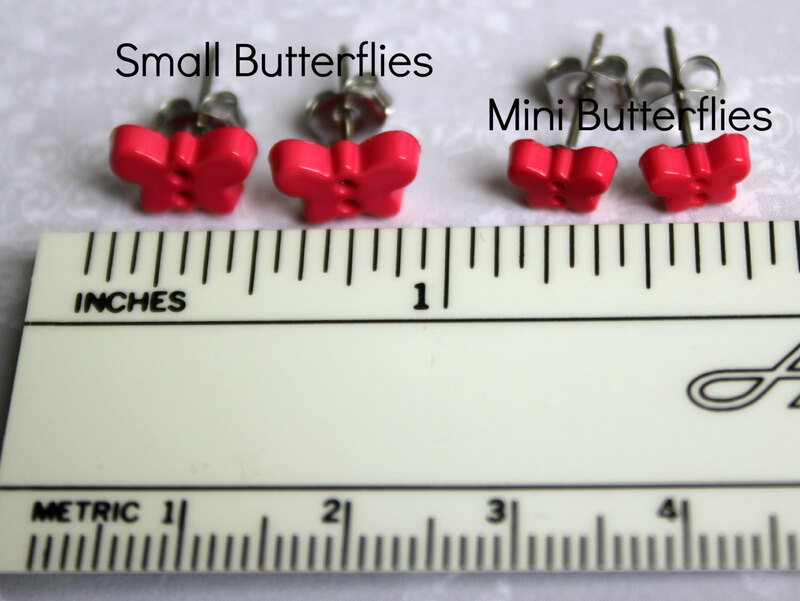 Butterflies are approximately 10mm (3/8″) wide and 7mm (1/4″) tall.